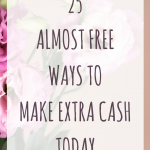 October 8, 2018 By Morgan M Woods Leave a Comment This post may contain affiliate links. Affiliate marketing is a great way to make a passive income if you know what you’re doing. However it can be really tricky to get it right. Luckily there’s now a course to help you with your affiliate marketing in the UK. Affiliate marketing is a great way to make a passive income, however it’s really easy to get wrong if you don’t know what you’re doing. You can’t just throw affiliate links about and expect people to click on them. 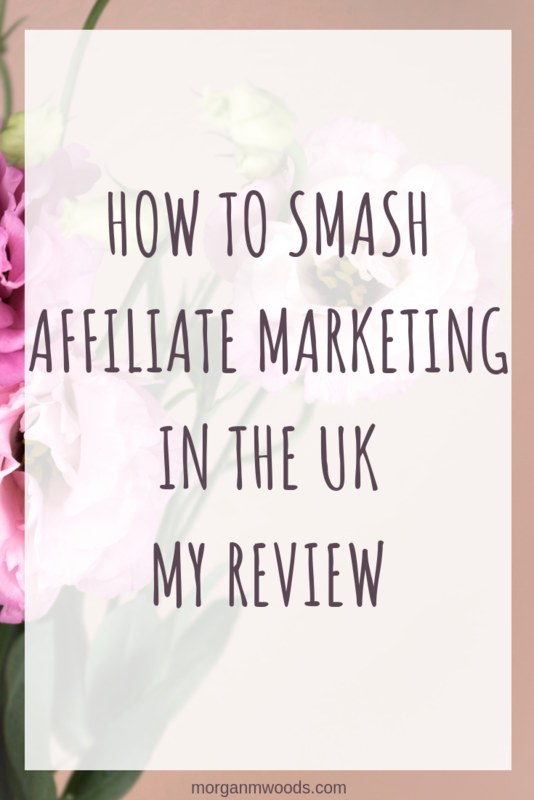 This is where a course like How to smash affiliate marketing in the UK by Emma Drew comes in. 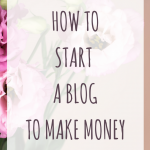 If you haven’t already heard of Emma she’s a UK blogger who earns a 6 figure income from blogging, the main source of her income comes from affiliate marketing. She left her job back in 2015 and now also employs her husband Tony to work alongside her. 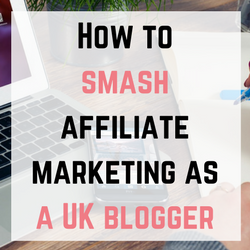 Emma has developed this course to help other UK bloggers improve on their affiliate strategy and make a huge success of their blog. If you’ve tried affiliate marketing in the past but found you couldn’t get it to work for you, then this course will show you a way. 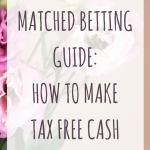 I signed up to How to smash affiliate marketing in the UK back in January of this year in the hope that it would teach me how to make a passive income. At the time of enrolling I hadn’t made anything from affiliate marketing but I really wanted that passive income. Fast forward 8 months and my affiliate income has risen from £0 per month to around £300 each month! That’s £300 each month made passively through affiliate marketing while I’m doing other things. Okay, I might not be hitting 6 figures anytime soon but to me that’s a huge achievement and I’m happy with it. The course has helped me so much, teaching me how and where to put affiliate links into my posts. 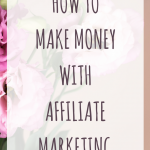 How I could use social media to up my affiliate marketing income and even what affiliate networks work best for bloggers in my niche. 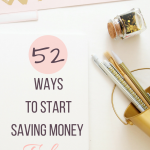 I have an affiliate strategy in place and I have some huge goals to increase my affiliate income even more. 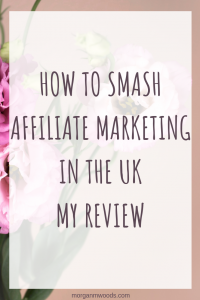 How to smash affiliate marketing in the UK only costs £49 which is amazing value considering what it’s taught me and how much it will earn me going forward. I even managed to earn my money back from affiliate marketing income within a month so it was definitely worth it. 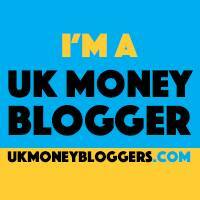 If you’re in the UK (or have a UK readership) and looking to make a passive income from a blog or maybe from social media then this course would work wonders for you. It’s a very useful course for new and existing bloggers and social media influencers who are looking to monetise their channels with success. You can register to How to smash affiliate marketing in the UK here and start making a success of your affiliate marketing today. For a limited time only you can get your hands on How to smash affiliate marketing in the UK as well as so many other awesome blogging tools with The genius bloggers toolkit. The Genius Blogger’s Toolkit is a digital collection of trainings and tools to get you started on your blogging journey. 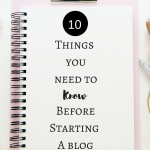 It will give you step-by-step instructions to make your blog successful in 2019 and beyond. … all curated to give you a comprehensive blogging education that will grow with you as you hit each blogging milestone – at a price that’s too good to miss. You could pay £49 for the single course or you could spend £75 and get everything else as well. Be quick though The 2018 genius bloggers toolkit is only available for 6 days.